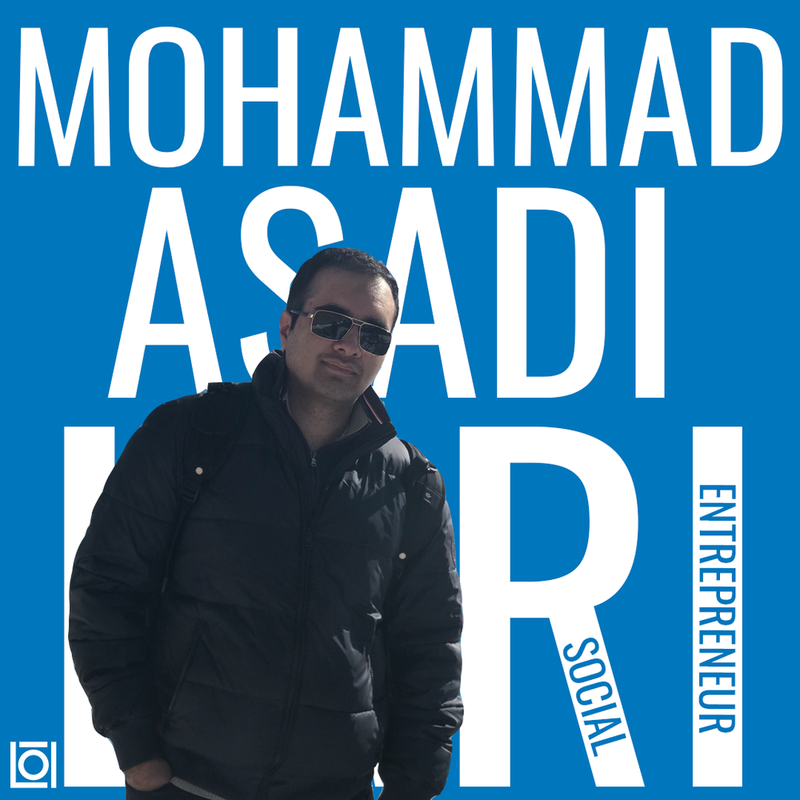 Meet this week’s #FeatureFriday, Mohammad! Previously a Vancouver Connector, Mohammad recently moved to Toronto for Medical School while being involved as a leader, advisor and speaker for various youth non-profits - truly a Connector! As an entrepreneur in healthcare and medical education, Mohammad is passionate about increasing the pace of innovation and entrepreneurial spirit in clinical practice and healthcare systems across Canada. I love how dynamic the community is. I joined as part of the first connector cohort in March, and over the past 7 months, it’s unbelievable how much this community has grown. The combination of great intentions and the sheer ambition to make broad impact in LOI is something that really pushes me to work harder. I also really enjoy the highly diverse and accomplished pool of individuals involved on every level, from the executive team, to the board and the connectors and LOI Labs venture. There’s honestly so much to love about LOI, and, it’s getting harder and harder to keep up with the incredible thing (and that is great). When I was a kid, I used to say that I want to be either a doctor or a pilot. Now while I’m on track to becoming the former (though it’s quite a long journey), I’m still quite determined about getting my pilot’s license (and crossing some other flight-related items off by bucket list). That’s something I hope to work towards, as I continue on my journey of becoming the best clinician-investigator-entrepreneur-global citizen that I could be. Have you ever had a side hustle and what was it? I have too many of those, in a way, most of what I do could technically be considered “side hustle”. My “day job” is being a medical student, and also deciding what I want to do for my PhD; yet my side hustles take just as much time (if not at times, more). For one, I’m the Managing Director of STEM Fellowship, a federal non-profit. Apart from being an LOI connector, I’m also involved with a number of other groups in advisory positions, such as the Canadian Commission for UNESCO, NextGenU, Enactus U of T, the U of T Medical Society. I won’t necessarily call it a superpower, but I feel like I’m good at connecting the dots, whether ideas or people. This is where I guess one of my weaknesses- disciplinary ADHD (aka, being all over the place) comes in handy. I’ve been able to build connections across different disciplines and fields of work and life, and that allows me to help out when someone is looking for a connection. For any aspiring entrepreneur, I’d suggest: Think of the BIGer picture, the global issues, and how things interconnect, but remember that great things start from small actions, so embrace the idea of “Thinking Global , But Acting Local”. This is incredibly important, when thinking of a product or service that you’re working on; if you and your team are able to make those connections between locality and globalism, then you have yourself the foundations of a successful enterprise. I always try to keep up with global developments, and particularly how it affects my home country of Iran, and the broader trends of global geopolitics. Of course, that also means I’m closely following the US mid-term elections. Aside from that, I’m spending time watching TED talks, especially those pertaining to education and healthcare, as well as the random story based on what YouTube suggests. For good or (perhaps mostly) bad, I’ve been quickly going through a number of Netflix series over the past 2-3 weeks, including “This is us” (which I’d highlyyyy suggest). The biggest influencers in my life have undoubtedly been my parents, and my grandparents, in particular my grandmothers (and if you’re calling cliché, so be it!!). They’ve inspired me with their incredible resilience against adversities in their lives. This is particularly true for my grandmothers, and I’m incredible fortunate to still be able to seek advice from my biggest influencers when I face decisions, big and small!